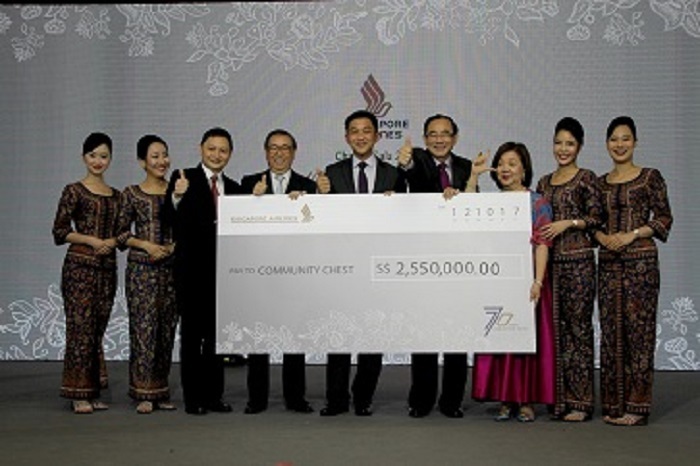 Singapore Airlines (SIA) has raised S$2.55 million for Community Chest through three fundraising events, organised as part of the Airline’s 70th anniversary celebrations. Proceeds from the SIA Family Day, SIA Group Charity Run and SIA Charity Gala will go towards supporting beneficiaries from about 80 social service organisations under Community Chest. Last evening, SIA hosted a Charity Gala, graced by Speaker of Parliament and Advisor to National Council of Social Service, Mr Tan Chuan-Jin. 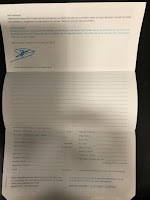 In addition to table sales, guests bid generously in live and silent auctions in the spirit of caring and giving. At the closing of the Charity Gala, SIA Chairman Mr Peter Seah and SIA CEO Mr Goh Choon Phong presented a cheque of S$2.55 million, representing funds raised from all three fundraising events, to Community Chest Chairman Mr Phillip Tan and Advisor to Community Chest Ms Jennie Chua. The SIA Charity Run, the second of the three fundraising events, took place on 8 October 2017 at The Float @ Marina Bay. The Run attracted more than 11,000 participants. The SIA Family Day, held on 20 May 2017 at SIA Training Centre, was the first in the series of fundraising events. Staff brought their family members along for a day of fun-filled activities, such as carnival games, flight simulator rides, and performances by SIA’s Cabin Crew Performing Arts Circle.